----- Happy Birthday DJ 360MIX!!!! DJ George Jett Art Basel Events - 11p - 4p - Wynnwood Miami, FL. 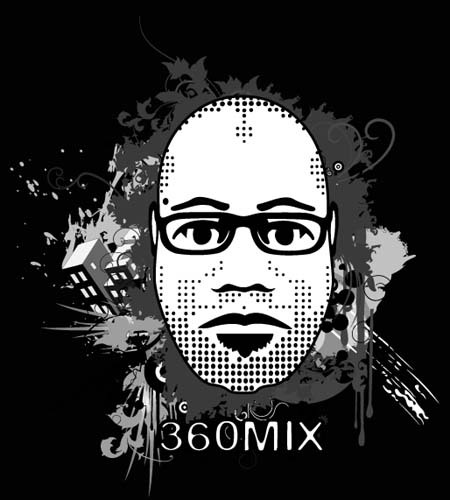 DJ 360MIX Wendy's Corporate Holiday Party - 9p-2a - Clearwater, FL. DJ 360MIX American Express Corporate Holiday Party - 8p-1a - Miami Lakes, FL. Is your date already taken? I manage over 40 DJs from Jacksonville to Key West. One of them will fit your needs and budget. Secure your New Years Eve entertainment NOW! Stop Waiting! We sellout of DJs every year! SOLD OUT!! PLEASE BOOK 2013 EARLY NEXT YEAR! tba Lizzette's Event - 7p-11p - Plantation, FL. DJ 360MIX JB'S ON THE BEACH - 8p-1a - Deerfield Beach, FL. 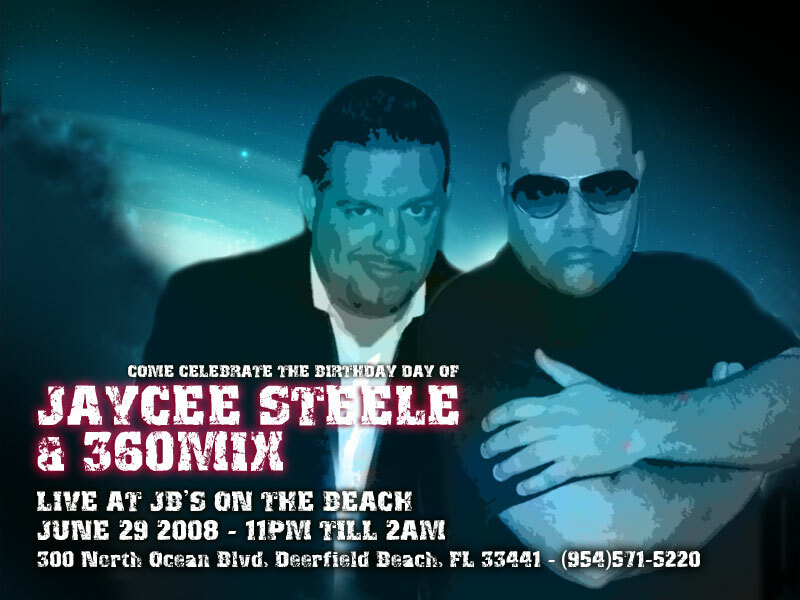 DJ 360MIX JB'S ON THE BEACH - 11p-1a - Deerfield Beach, FL. 300 North Ocean Blvd, Deerfield Beach, FL 33441 - (954)571-5220. DJ BMG Wendy's Corporate Holiday Party - 9p-1a - Clearwater, FL. DJ BMG American Express Holiday Party - 8p-1a - Miami, FL. DJ Mike Erin's Party - 7p-11p - Miami, FL. 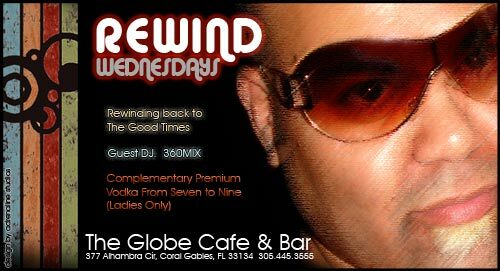 DJ Mike Rose's Party - 7p-11p - West Palm Beach, FL. DJ BMG Wendy's Corporate Holiday Party - 11p-1a - Clearwater, FL. 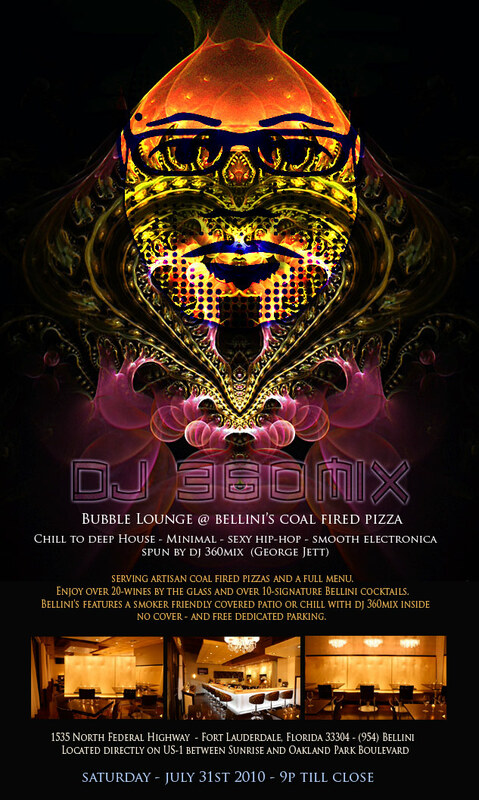 DJ BMG American Express Holiday Party - 9p-1a - Miami Lakes, FL. We have only 1 DJ Avilable for NEW YEARS EVE 09... Don't Delay call now to secure a DJ for this special day. DJ Maya Avilable CALL NOW TO BOOK!!! LAST DJ AVAILABLE!! --- MEMORIAL WEEKEND PARTY AT FEATURING 2 DJ AND 4 TURNTABLES..
DJ BMG Private Event - 9p-2a - Star Island, FL. DJ BMG Wendy's Corporate Holiday Party - 11:30p-1a - Clearwater, FL. WE DO NOT HAVE ANY MORE OPENINGS FOR THIS DATE. DJ TECH Miriam's Party - 8p-1a - Miami, FL. DJ ED Bonham's 10th Anniversary - 6p-11p - Coconut Creek, FL. MILDA Tradeshow - 11a-6p - Miami Beach, FL. Don't Wait until the last minute to book your event. DO IT NOW!! Remember you snooze you loose!